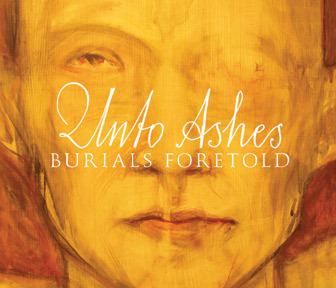 Among the vanguard of apocalyptic folk & neo-Medieval music, Unto Ashes’ Burials Foretold will be classed as one of the preeminent statements in this unique genre. Band members Michael Laird, Natalia Lincoln and Ericah Hagle reunite their exceptional voices & visions, providing unsurpassed vocal harmonies. The album was performed on a broad array of Medieval & Renaissance instruments interwoven by acoustic guitar & piano. It draws upon wildly diverse influences: Medieval music, long-forgotten poets, 70s progressive rock, heavy metal, synth-pop, Arabic music and modern classical composers. A breathtaking listening experience that is at once mystical, melancholic and quite simply magnificent. With Burials Foretold, enigmatic Projekt recording artists Unto Ashes emerge with an extraordinary work that radiates darkened light from a buried heart. Band members Michael Laird, Natalia Lincoln and Ericah Hagle reunite their exceptional voices and visions and in so doing create a breathtaking listening experience that is at once mystical, melancholic and quite simply magnificent. Among the vanguard of apocalyptic folk and neo-Medieval music, Unto Ashes’ Burials Foretold will be classed as one of the preeminent statements of a unique genre that Unto Ashes define almost single-handedly. Founded by Michael Laird in New York City in 1997, Unto Ashes have released six successful albums on Projekt. Unto Ashes have performed widely in the United States, and in Europe the band has played 27 shows: headlining at the Wave Gotik Treffen’s Schauspielhaus (2003 & 2012), touring with Elane (8 dates, 2005) and a much acclaimed tour with darkwave gods QNTAL (17 dates, 2006). The eclectic instrumentation and musical compositions draw upon wildly diverse influences: Medieval music, long-forgotten poets, 70s progressive rock, heavy metal, synth-pop, Arabic music and modern classical composers. These disparate sources are here seamlessly united (and seemingly without effort) under the hypnotic gaze of the mysterious figure that appears on the album cover. This quixotic effigy signals Burials Foretold as a passionate, intense, and profoundly evocative experience. Burials Foretold is graced by the unsurpassed vocal harmonies of Hagle, Laird and Lincoln, last heard together on Unto Ashes’ Empty Into White (Projekt 2003). The present album was performed on an unusually broad array of original Medieval and Renaissance instruments including viola da gamba, hurdy-gurdy, harmonium, dulcimer, bagpipes, French horn and cello, interwoven by acoustic guitar, bells, piano and much more. One of the most luminous tracks on Burials Foretold is the exquisite “She Binds Away the Night,” written as a Pagan prayer that seeks to evoke ancient rites, and does so brilliantly with hypnotic stringed instruments, regal French horns and sublime choral vocals. “Night is Coming Soon” and “Piper’s Song” are startlingly sinister but beautifully rendered little murder ballads; their sickly sweet sounds seem to emanate from the pages of a 19th-century edition of the Brothers Grimm, or some long-lost manuscript by Christina Rossetti. In fact, the lyrics of all three songs were written by K. McClain especially for “Burials Foretold,” as was “Young Men Leave for Battles Unknown,” a stirring war hymn which resembles a traditional British Isles lament. Unto Ashes continue to write inspired music that incorporates poems by now-obscure authors. On Burials Foretold we find a morbid poem by American satirist Ambrose Bierce (“Worms’-Meat”) and an enchanted fairy poem by Cicely Mary Barker (“Spring Magic”). The instrumental songs are no less compelling: Natalia Lincoln has contributed an incandescent and characteristically stirring piano composition (“Rubine”) which is soon followed by a shimmering waltz performed on original Renaissance instruments (“Ascent + Descent”). Unto Ashes are celebrated for their unique cover versions of highly unlikely songs by such disparate artists as Blue Oyster Cult (“Don’t Fear the Reaper”), Coil (“Death of Passoli”), Depeche Mode (“Fly on the Windscreen”), The Cure (“The Drowning Man”), and even punk legends Flipper (“The Way of the World”). To this distinguished catalogue of curiosities, Burials Foretold offers two more spectacular additions: a surprisingly romantic version of “Kathy’s Song” by Norwegian synth-pop giants Apoptygma Berzerk, and an alarmingly depressing version of “Runnin’ with the Devil,” originally recorded in 1978 by heavy metal gods Van Halen. In each instance Hagle’s plaintive vocals rise above foreboding apocalyptic folk music; the results are genuinely captivating and invite comparison to Nico’s best work during the early 1970s. The poignancy and majesty of these fifteen timeless songs will continue to echo and resonate within the listener’s mind for a long time, beckoning for repeated listening. It is surely one of the finest Unto Ashes albums ever recorded.